The Thanksgiving and Christmas/New Years holidays are among the most traveled times of the year. As such, it’s no surprise that the airports are filled to bursting with travelers, who have squirreled away travel miles or pinched pennies to afford the air fare and who are eager to get home to spend time with their loved ones. Every year that I’ve traveled anywhere, be it across state lines or locally, I’ve seen how congested bus depots, train stations and airports have become, not to mention how busy our local luggage shops get. It seems like folks are always having to rush out and buy new luggage at the last minute after realizing they’ve misplaced or worn out their old sets. Finding a piece that is not only aesthetically pleasing but also easy to pick out at baggage claim can be hard. With holiday travel on the horizon, it goes without saying that I couldn’t turn down the opportunity to work with American Tourister. Getting their start in 1933, American Tourister was started by Sol Koffler, with the vision to create a tough suitcase that would sell for a dollar. His goal accomplished, Sol founded American Tourister has been in business selling his products for the last 75 years and is considered to be one of the largest luggage companies in the world. Thanks to its continued tradition of quality and design at a great value, American Tourister is the smart choice for you and your family this holiday season when the time comes to visit with family. While working with American Tourister I was sent two of their adorable Disney themed suitcases to check out. The Minnie Mouse Polka Dot 28″ suitcase is the perfect piece of luggage for either yourself or the Minnie enthusiast in your family. With it’s classic Minnie inspired polka dots, the 28″ suitcase is a fun travel companion and only weighs 9lbs, so, you never have to get tired of lugging it around, even with all of your essentials tucked safely inside. Beveled push button locking retractable pull handle. American Tourister branded zipper pulls and ID tags. Large packing compartment with large mesh pocket on interior panel. Cross straps to keep belongings safely in place. 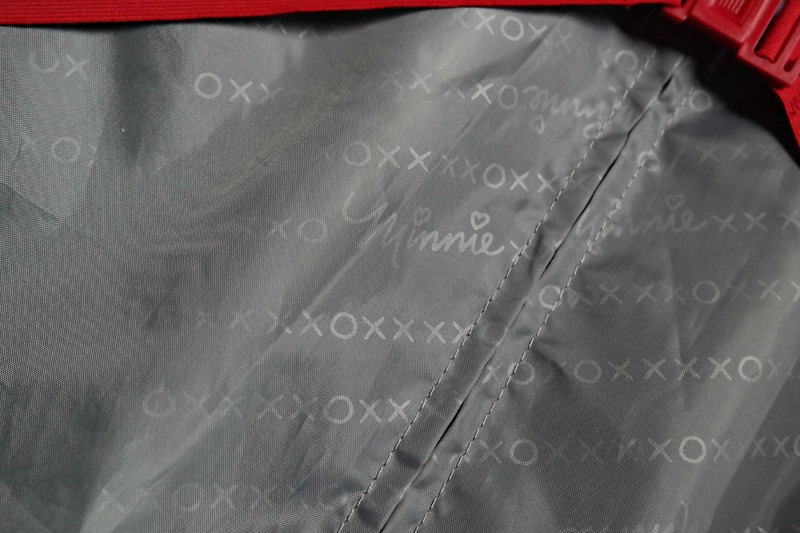 Minnie Mouse branding inside lining. The Mickey Mouse Multi Face 28″ is another great option if you’re a fan of the classic Mickey Mouse character. Just like the Minnie Mouse Polka Dot suitcase, this fun printed suitcase is the perfect traveling companion, whether you’re 4 or 45. Mickey Mouse branding inside lining. Both designs are subtle but yet also scream Disney to other Disney fanatics. We have six of us traveling this holiday season and we’ve yet to agree who gets to use these adorable suitcases. The Disney line from American Tourister includes more than just Mickey & Minnie Mouse. You can find luggage featuring Star Wars, Frozen, Cars, Sofia the First and Disney Princesses, too! Connect with American Tourister on Facebook|Twitter|Pinterest|Instagram and never miss the opportunity to check up on the latest news! 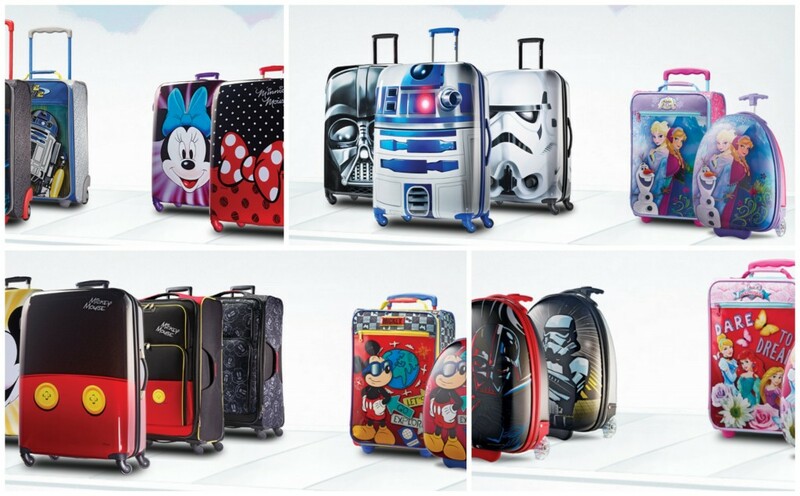 You can purchase Disney Luggage on the American Tourister site. ONE OurKidsMom reader is going to win their choice of 1 piece of Disney luggage from the American Tourister site! This giveaway ends at 11:59 PM EST on December 18, 2015. I learned about free 2 day shipping when you purchase any 2 items from the gift guide. My children would love the Mickey Mouse & Star Wars luggage! I would love Mickey Mouse luggage. All the luggage sets are so cute. I love the Star Wars luggage, it’s on my list! I really like the American Tourister Disney 16″ Hardside Upright – Star Wars R2D2. Thanks. I really like the American Tourister Disney Minnie Mouse 21″ Hardside Spinner. I want the Minnie mouse luggage. my daughter and I would both love it. The R2D2 is adorable! Great spinner and hard sides. I didn’t know that they had so many collections! I love the Disney and the Star Wars luggage. My daughter would love the Frozen luggage. I entered your Toys R Us giveaway. I like the Frozen American Tourister Disney 18″ Softside Upright. I like their American Tourister Star Wars 20” spinner. My hubby would love owning one of those! I love the American Tourister iLite Xtreme 29″ Spinner in Moroccan Blue! I like the Cars Backpack. The Disney luggage is adorable. I was surprised to learn that it has Mickey Mouse branded inside on the lining. The new BB8 spinner!!! Must have!!!!! I love the star wars 28 spinner. 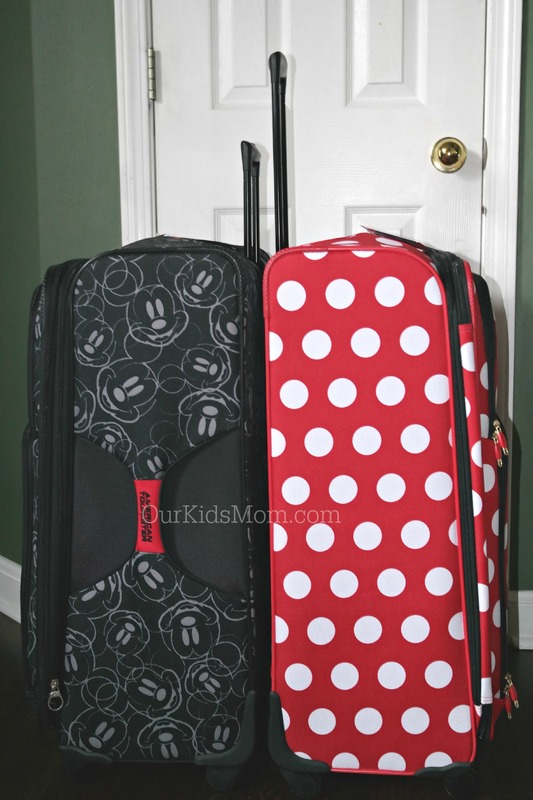 I love the American Tourister Disney Minnie Mouse 28″ Hardside Spinner! I really like the Star Wars 28″ Spinner ! I know my hubby would love me to get that for him! 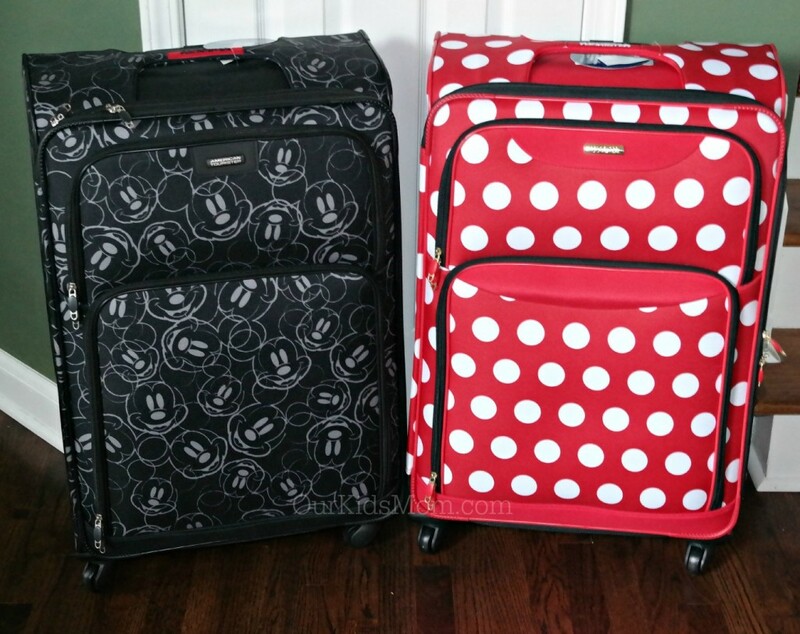 I would love to have the American Tourister Disney Minnie Mouse 28″ Hardside Spinner for myself and the American Tourister Disney 18″ Softside for my husband! This is such a great gift for those who travel! I learned that American Tourister is the Official luggage of Walt Disney World Resort & Disneyland! I like the American Tourister 18″ All Day Duffel. I like the Triumph DLX 25″ Spinner. My absolute favorite is the Minnie Mouse 28″ Spinner! I like the American Tourister Duralite 360 24″ Spinner. I’d also love the American Tourister Disney Mickey Mouse 21″ Hardside Spinner. Love these disney collections. I like the American Tourister Metallic Disco 20″ Spinner. I would love to own one of these for when I travel just a few days at a time. I love them all and can picture everyone in my house having their each favorite character suitcase. I really like the American Tourister Disney Minnie Mouse 21″ Hardside Spinner. I really like the Mickey Pants American Tourister Disney Mickey Mouse 28″ Hardside Spinner. The Minnie Mouse 21′ spinner is soooo cute. Would love to give this to my 5 year old niece, who is my Disneyland travel buddy. I really like the Mickey Mouse 28inch spinner. It would be super easy to spot in an airport. I want the R2D2 luggage! They have such a fun variety of bags to choose from. I love the Disney and Star Wars ones. I like the American Tourister XLT 25″ Spinner . I want the storm trooper luggage! I love the Frozen Upright Softside and the Mickey Mouse Spinner Softside Multi Faces! I like the stormtrooper spinner. I am also loving the Star Wars Spinner! My son and Husband would love the Star Wars collection and our Daughter would love anything with Disney Princesses! Would love to have the Darth Vader 28″ Spinner (or 21″) for my son but it’s not listed on the American Tourister Website. I don’t know if it’s not available or if its sold out. I want the American Tourister Disney Minnie Mouse 21″ Spinner. It is so cute! I love the R2D2!!! I would love to win for my son! I want the American Tourister Star Wars 28″ Spinner. R2D2! I love the Star Wars luggage. I love the American Tourister Star Wars 28″ Spinner. R2D2! learned that American Tourister is the Official luggage of Walt Disney World Resort & Disneyland! 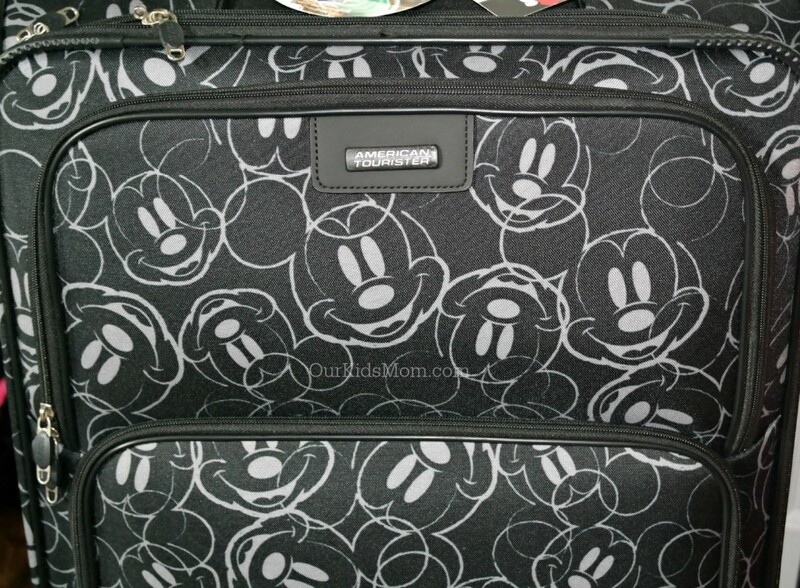 I love the American Tourister Disney 18″ Softside Upright with Mickey on it! I am a total Star Wars fan and love R2 but the American Tourister Disney Minnie Mouse 21″ Spinner is perfectly cute! I like the American Tourister Disney Mickey Mouse 21″ Spinner with Mickey Mouse multi Face print. I would also like to get the American Tourister Metallic Disco 20″ Spinner carry on for myself. I also entered the Leeo Smart Alert Plug-In Alarm Monitoring System giveaway. I entered the Brookside Chocolates giveaway. I have always loved the Mickey one. It seems relatively subtle…but wow the Minnie polka dot one is kinda growing on me! Both are great though! We travel overseas so I need something light to carry on and travel around the city! American Tourister Medium Backpack would be perfect! I want the Star Wars luggage. 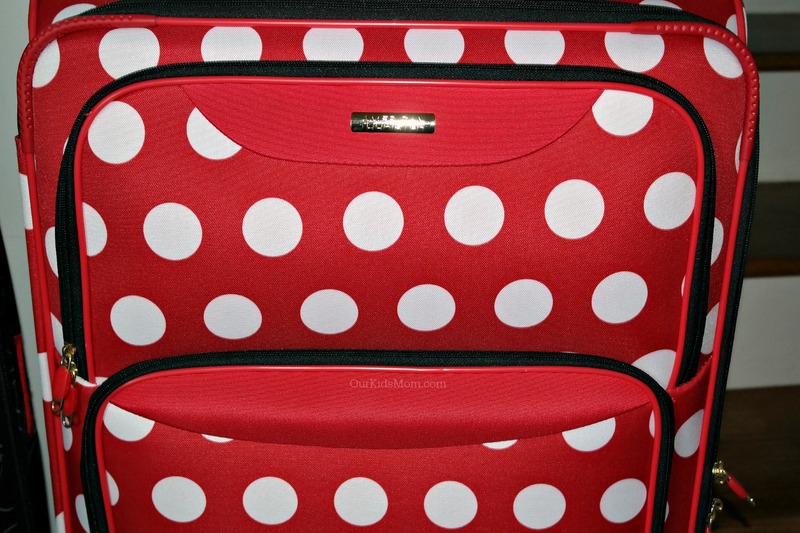 The red and black Minnie Mouse hard sided luggage is adorable! I like the American Tourister Brookfield 3 PC Set . I would love to have the American Tourister Disney Minnie Mouse 21″ Spinner in Minnie Mouse Polka Dot. It is so cute! I entered your Brookside Chocolates giveaway. I entered your Little Tikes Giant Slide Bouncer Bouncy House giveaway. I really like all of the star wars luggage, especially the American Tourister Star Wars 28″ Spinner. You get FREE 2 day shipping when you purchase 2 items from their gift guide. Wish the form would let me put my email that I subscribe with. If it tries to subscribe me at the other address I will ignore it. I love the American Tourister iLite Xtreme 29″ Spinner or the American Tourister Disney Minnie Mouse 28″ Hardside Spinner! I didn’t know that they had a Disney collection. I love the American Tourister Disney Minnie Mouse 21″ Hardside Spinner. I would love the Minnie Mouse set! Its perfect for my Christmas loving self! 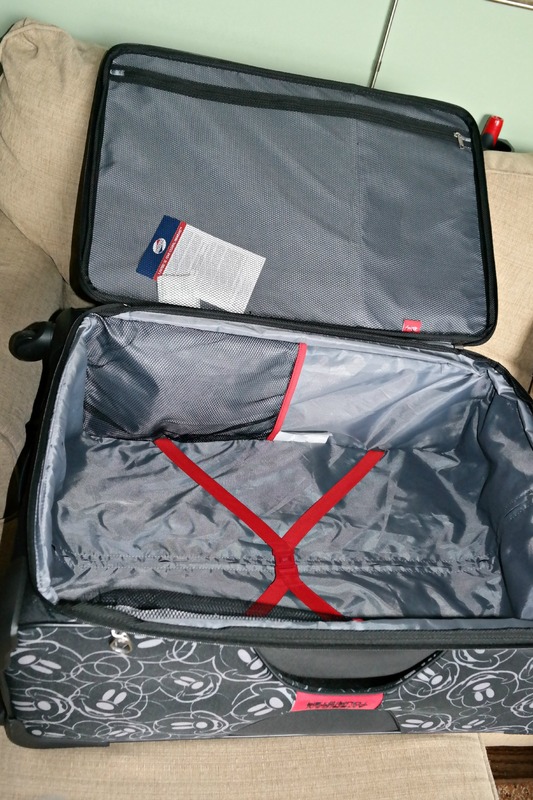 I like the American Tourister Disney Minnie Mouse 28″ Spinner! So cute. I like the American Tourister Disney Minnie Mouse 21″ Spinner! It is so cute!! My kids would love the star wars luggage in honor of the new movie coming out. I like the American Tourister Disney 16″ Hardside Upright. I like the American Tourister Disney Mickey Mouse 28″ Spinner. I’m loving the Minnie Mouse 28″ Hardside Spinner in polka dots! I am in love with their new Star Wars luggage! I especially love the little R2D2 American Tourister Star Wars 21″ Spinner! It is too cute and we LOVE R2D2 in our house! I love all of the Star Wars luggage. I really want the 28″ R2D2 Spinner. I must have the American Tourister Disney Minnie Mouse 28″ Spinner. I wish they had a Pocahontas one! My family would love any of the star wars collection. Love the minnie mouse one! I learned they are the official luggage of Walt Disney World. My daughter would love the American Tourister Disney 16″ Hardside Upright. They are having a great two piece sale! I might have to get some new luggage! I love that C3PO bag but I am sure my girls would want Frozen. I love the Minnie suitcase, but I also love the R2D2 one….too many great choices! I love the pockets for airline tickets, etc. i really love the American Tourister Disney 16″ Hardside Upright – Star Wars R2D2. I want the American Tourister Disney Minnie Mouse Red Bow 28″ Spinner. I’ve long been a fan of American tourister luggage, but this Disney line is just fantastic. There would certainly be a lively vote in my house to choose one piece….I personally love the Minnie, but my boys would love the star wars line. American Tourister Star Wars 21″ Spinner would be a huge hit! I really want the American Tourister Disney Minnie Mouse 28″ Hardside Spinner, I love Minnie Mouse anything! I loved the black & white mickeys! Classic style! I like the Anerican Tourister All Day Duffle; it is so pretty. The Star Wars suitcases are Awesome! Our whole family would love this! I learned that In 1933 Sol Koffler put his life savings on the line to start a luggage company in Providence, Rhode Island. The most amazing piece they have in my opinion is the American Tourister Star Wars 21″ Spinner. What a darling design! Entered your Leeo Smart Alert Alarm giveaway too! Entered your Disney American Tourister giveaway too! Sorry I meant to say I Entered your Kid Traxx Ride on Bulldozer giveaway too! I also like the Wheeled Mobile office. I would love the American Tourister Disney 16″ Hardside Upright. In 1933 Sol Koffler put his life savings on the line to start a luggage company in Providence, Rhode Island. It is also the official luggage of Walt Disney World and Disneyland. We go to Disneyland every year, my daughter loves the Frozen luggage!! The Metallic Disco 24′ Spinner is cool too. I learned that for a limited time you can get free 2 day shipping when you order. I love the American Tourister Star Wars 28″ Spinner. I visited the site and I want the American Tourister Disney Mickey Mouse 21″ Spinner. I would love the Storm trooper luggage. My nephew would go crazy for the R2D2 luggage. Thanks for the chance to win. I love the American Tourister Star Wars 20″ Spinner, so fun! I love the Star Wars luggage, and the Disney luggage. I learned in 1933 Sol Koffler put his life savings on the line to start a luggage company in Providence, Rhode Island. His dream was to build a tough suitcase that could sell for a dollar – American Tourister was born. I like the AMERICAN TOURISTER DISNEY MICKEY MOUSE 28″ SPINNER, I am a huge Mickey Mouse Fan. American Tourister Disney Backpack is something else that i really like !